Having an aversion to facts appears to be a requirement for holding a management position in the Trump administration. Also an aversion to morality. Just who’s in charge around here, anyway? Speaking on my television screen was Marsha Blackburn, a conservative member of the House of Representatives from Tennessee. She was responding to questions about Donald Trump’s cabinet picks and their obvious lack of qualifications. That is probably true in many cases. For example, I am certain that Marsha’s background as Director of Retail Fashion and Special Events for the now-defunct Castner Knott chain of department stores was excellent experience for her current role as a member of the House Committee on Energy and Commerce. Returning to Marsha’s interesting idea about who should run our country, let’s briefly consider the ramifications of her observation. By conservative logic, a kid running a lemonade stand would be qualified to be CEO of a large corporation. Well, assuming the kid was successful by Donald Trump standards. You know, someone who didn’t fully pay for the lemons, or the transportation, or the construction of the stand, or the labor to run the stand. Ignoring all those pesky items would ensure maximum profitability. Qualified to perform open heart surgery: Every sushi chef. Qualified to be Attorney General, the nation’s top law enforcement officer: White supremacist Jeff Sessions. Qualified to guard the henhouse: A hungry fox. Qualified to advise the president and work just a few feet from the Oval Office: Steve Bannon, a white nationalist, fake journalist, and conspiracy theorist. Qualified to be a motivational speaker: Charles Manson. Qualified to be National Security Advisor: Conspiracy theorist and powder-keg-ready-to-explode General Mike Flynn. Qualified to be financial advisors: Charles Ponzi and Bernie Madoff. Qualified to assure clean air and water for your children: Scott Pruitt, Trump’s nominee to head the Environmental Protection Agency, a close ally of the fossil fuel industry and a climate change denier. Qualified to be your pharmacist: Gary Busey. Qualified to lead the Department of Energy: Rick “Oops” Perry, a humanoid that wants to destroy the Department of Energy. Qualified to replace the Geico gecko: Pepe the Frog. Qualified to be Secretary of the Interior: Cathy McMorris Rodgers, who not only has a rating of zero from the League of Conservation Voters, but who is also a climate change denier and an advocate of subjecting public lands to increased oil and gas drilling and fracking. Qualified for Doctors Without Borders: Hannibal Lecter. Qualified to be Secretary of Labor: Andrew Puzder, CEO of CKE “Restaurants” (Hardee’s and Carl’s Jr.), a man who opposes raising the minimum wage and who favors having the labor force replaced by robots. Qualified to lead your church youth group: Vlad the Impaler. Qualified to be Secretary of Education: Betsy DeVos, whose signature issue is the destruction of the US public education system. Or, as it would be known if she gets her way: publick edgykashun sistum. Qualified to lead the school lunch program: Jeffrey Dahmer. Qualified to be Secretary of Housing and Urban Development: Trump’s nominee is (pause) the hardest-working man (pause) in show business (pause), Ben (pause) Carson! Reminder: this is someone who is against the Fair Housing Act. Qualified for Mensa: Forest Gump. Qualified to head Health and Human Services: Tom Price, a man opposed to programs providing health security to millions of Americans. Qualified for any Trump appointment: The guy who follows circus elephants with a shovel. 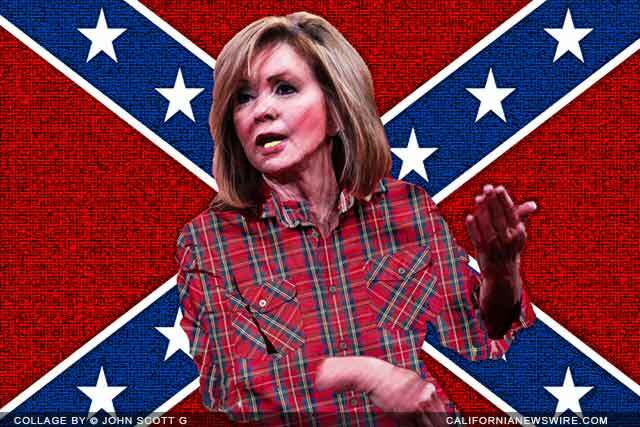 Or Marsha Blackburn.